Hey there friends! I hope you all have been doing well! Well, I'm back with another batch of final images from a senior portrait session! This time, the images are of the one and only Hannah Wilmes! You may remember Hannah from her behind the scenes blog post a while back. 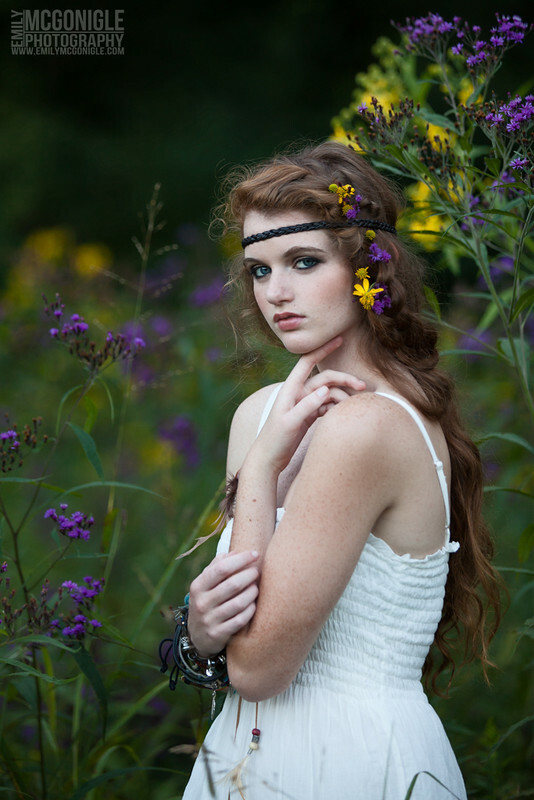 Like Emily Gabhart, Hannah was one of my Senior Models for 2013! She was amazing to photograph and was completely comfortable in front of the camera! 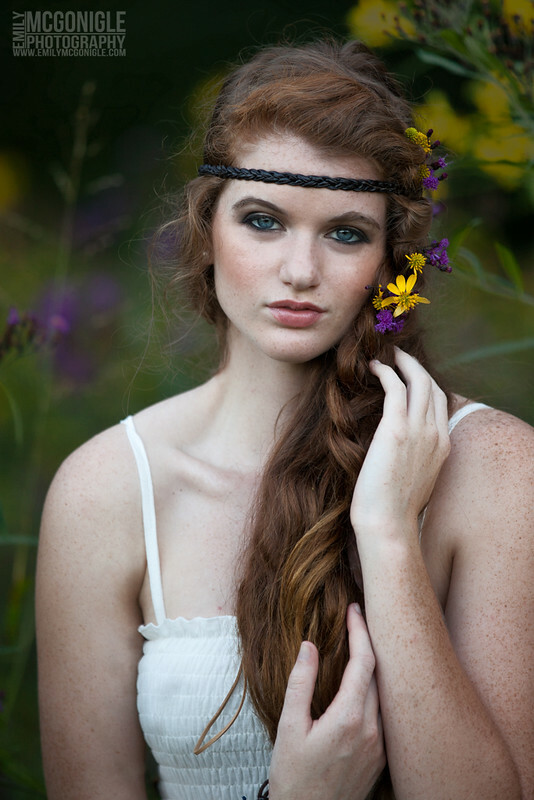 I got to work with the lovely Jessica Steingard again on Hannah's session. Jessica did a lovely job with Hannah's hair and makeup, and was super great with changing looks on the fly as Hannah changed outfits and we moved from location to location. 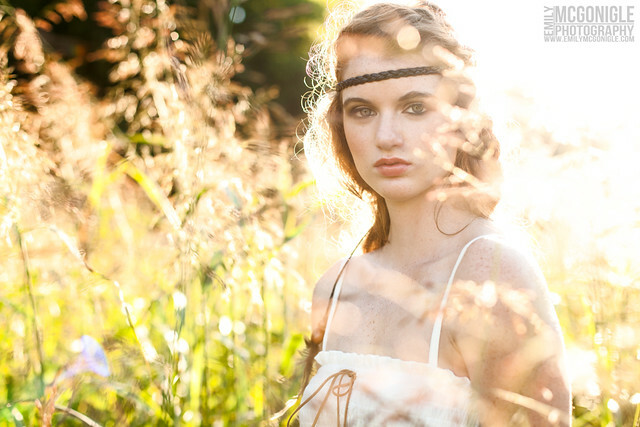 The day of Hannah's session was simply beautiful. We had a lot of sunlight to work with and a huge area to photograph within. There were a lot of different looks accomplished that day. Hannah was down for anything I threw at her! Tall grass? No problem! Tree climbing? Great! Trekking barefoot to the next location? ...Well, I didn't make her do that... her free-spirited self decided upon that one all on her own, but I thought that was pretty awesome, haha. When we first started shooting, Hannah had started without her signature bracelets. At one point she expressed how strange it felt to not be wearing them, and I asked her if she'd like the photos better *with* them in, to which she confirmed she would. So I asked her to put them back on, because I wanted these photos to be something she would love, and if not having her signature in them was going to affect that, I didn't want her not to have it! PLUS... they really did help to compliment her look. Of course there was an outfit that just looked better without them, but she wore them whenever it suited the style! Isn't Hannah GREAT?! I loved working on these with her! 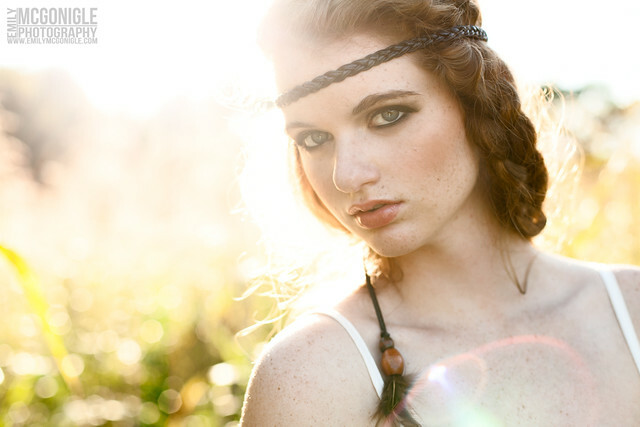 As I mentioned before, Hannah was one of my senior models for 2013, and if you'd like to find out how YOU can become a senior model for 2014, check out my Senior Model Casting Call. Emily McGonigle Photography is a Brentwood Senior Portrait Photographer, and can be contacted for booking inquiries here.